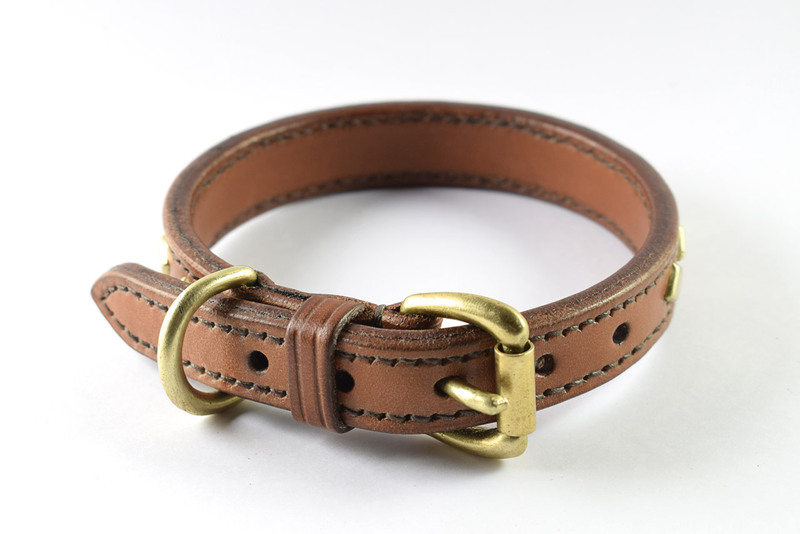 This is a lined collar made from a single 5/8" wide strap in conker leather, with solid brass buckle, dee and diamond shaped studs. It is suitable for size S dogs. 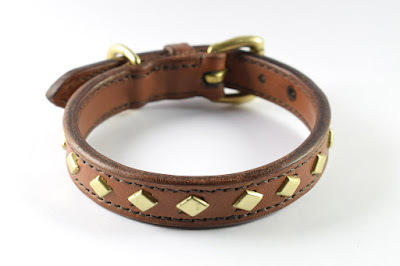 I started with splitting the bridle leather to a suitable thickness, applied the studs and stitched it before sealing the edged to achieve the best result.